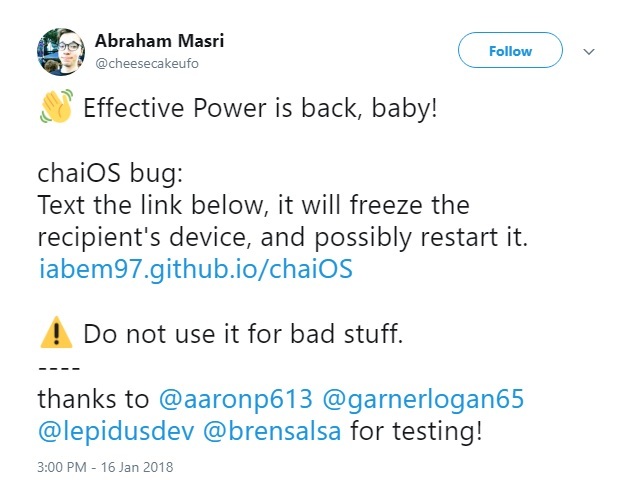 The issue was first discovered by Twitter user Abraham Masri, who says the link has a host of effects on macOS and iOS, including freezing, resprings, battery issues, and more. We tested the chaiOS bug and had mixed results. 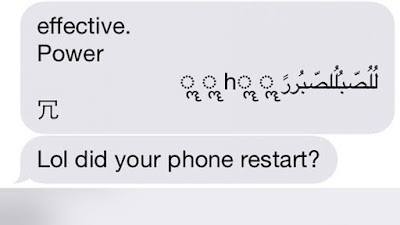 In some instances, sending the link would cause both the sender and recipient’s device to respiring or cause the Messages app to instantly freeze and crash. 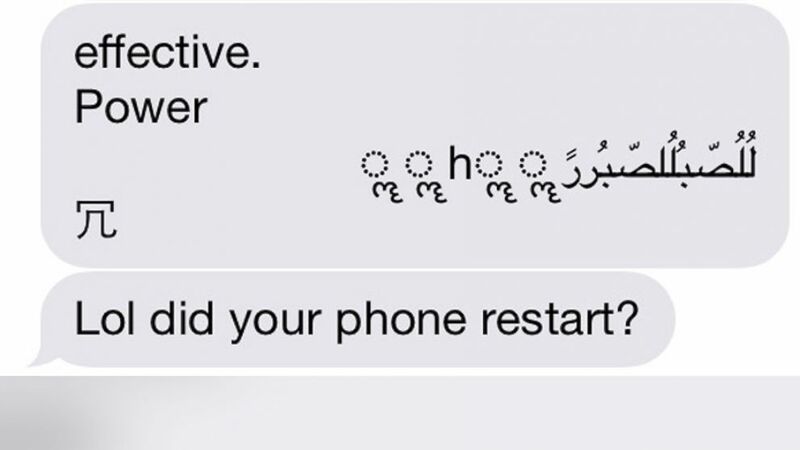 Furthermore, reentering the thread would cause the Messages app to crash again and again, making the only viable solution to regain access to that thread to delete it and start a new one.